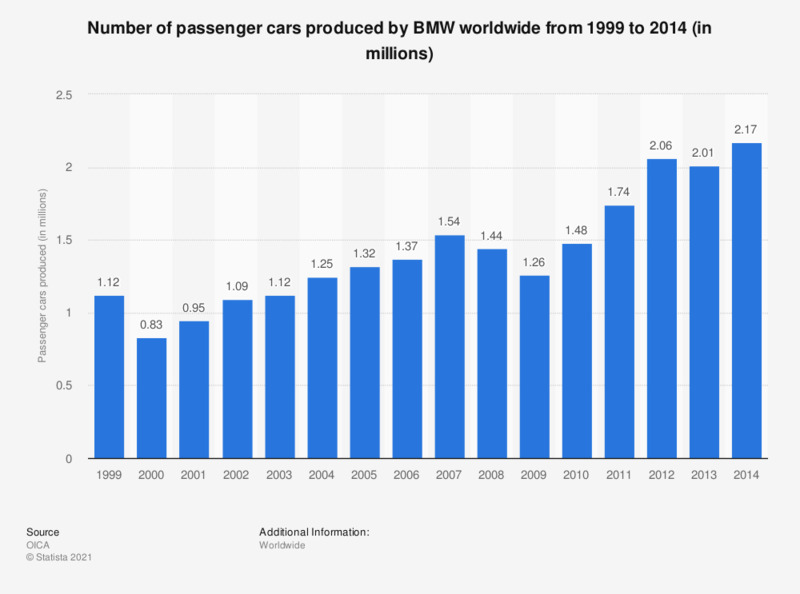 The timeline shows the passenger car production of BMW worldwide from 1999 to 2014. In 2014, BMW produced around 2.17 million passenger cars worldwide. BMW is ranked among the 15 largest automakers worldwide.